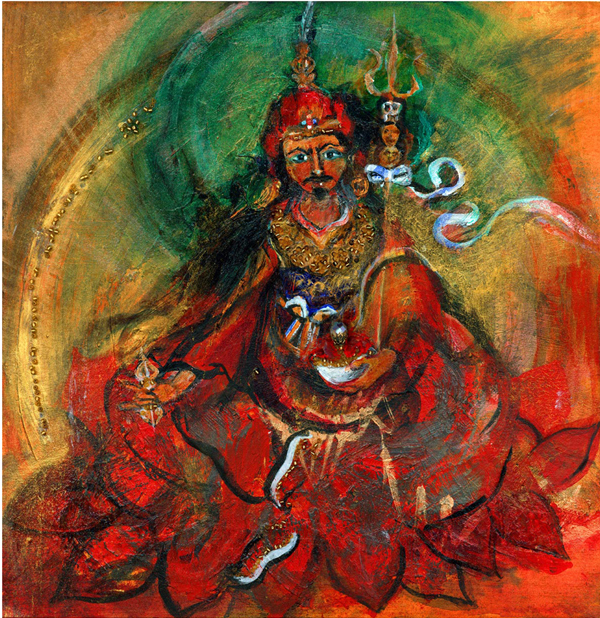 Buy limited edition high quality Archival Inkjet prints of VAJRAYOGINI and PADMASAMBHAVA numbered and signed by the artist. Two vibrant paintings (shown below) have been excellently reproduced on acid free Archival Fine Art Watercolour paper using pigments which are lightfast for at least 75 years. 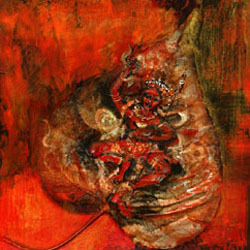 Each edition is limited to 21 prints. Personal dedications available on request. You can contact me via this website’s email form. 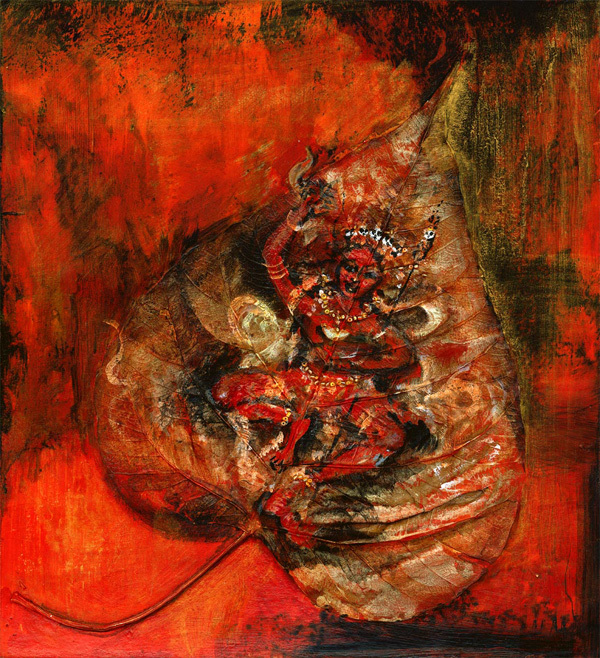 The original painting is a miniature red dancer painted on a real Bodhi leaf. The print reproduces the leaf in excellent detail. High quality downloads of some of the artist’s most popular images are available from Clear Vision.